From Bourbon Street to the banks of the Mississippi, the New Orleans Post Card is an first-rate way to tell your guests about your event! 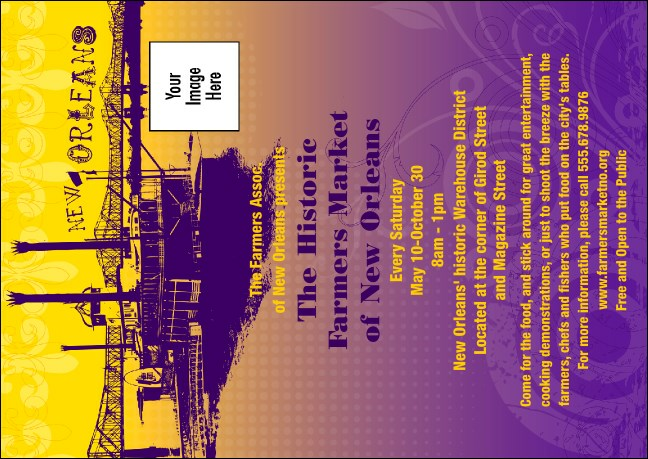 Featuring an iconic image of the Crescent City Connection Bridge, and printed on high quality card stock, this postcard is an essential addition to your promotional materials. Love this design? A matching event kit is available through TicketPrinting.com.